With the coffee culture catching on in Kathmandu, you can hardly walk five blocks without coming across a coffee shop. At even the most basic of coffee houses, a latte or cappuccino with a carefully poured heart or rosetta design is practically the norm for a barista. Their performances are captivating to watch, as they continuously swoop their milk pitchers up and down towards the coffee cups, pulling back in a series of motions until their intended design appears on the drink’s frothy surface. Friday met up with some of the best baristas in town, who are pushing the boundaries of the foamy medium and presenting a new, delectable art. Frothing up passions, Pratik Shrestha is an MBA graduate from London, who came back to Nepal with an aim to revolutionize the coffee culture and introduce specialty coffee to our industry, and is now working professionally as a coffee consultant specializing in business design and coffee value chain logistics. “To be very cheesy, the love for coffee-making came from within. When coffee introduced itself to me, I knew it was the right path to take, and I haven’t stopped since,” says Pratik, who received his barista training from Himalayan Java Coffee School, and also worked there for a year before heading to London. In London, he bagged the title of Barista of the Year for UK and Ireland, for Costa Coffee, and the rest is history. He now holds a Specialty Coffee Diploma with SCA from Artisan Coffee School, Ealing, London, and is the only Nepali holding such a diploma. However, most of what he learned about coffee came from individual efforts coming in the form of both solo and collaborative endeavors. Now a co-founder of Brewshala, a one-house solution for all the coffee needs of coffee lovers out there, Pratik Shrestha firmly believes that a great cup of coffee is the collective effort of the whole value chain—the farmers who grow it, merchants who process and distribute it, roasters, Q-graders, baristas, who curate it, and most primarily, the consumers who understand the culture and soak in it. Bhupal Khatri, the head barista and office manager at Kaffeine Foods Pvt. Ltd., turned to coffee making simply for the love of the art. This aspiring sketch artist was mesmerized by what a barista can present in a cup with the right combination of milk and espresso. With the artistry already in his veins, Bhupal received his first basic barista training from Cafe Coffee Culture, Pokhara, and then was mentored by Mr. Ullash Shrestha in Kathmandu. 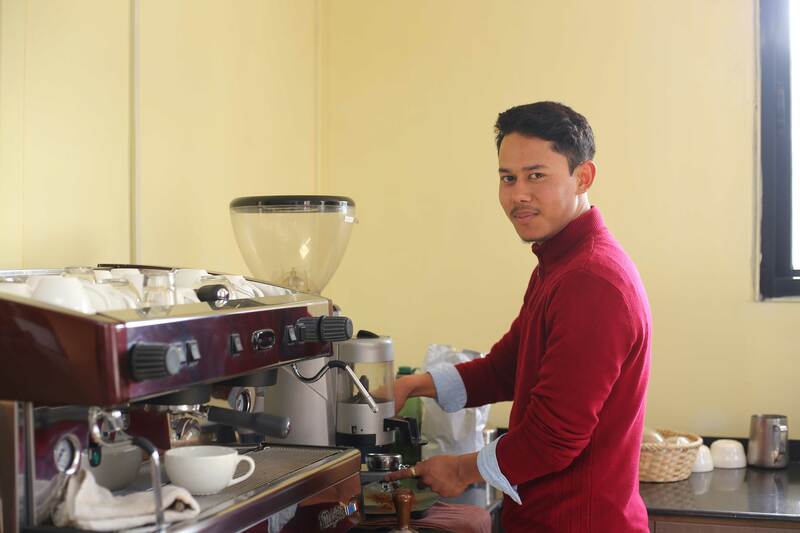 He thereafter joined Kaffeine as a barista, where he was made aware of the real meaning of specialty coffee and the science behind it by an authorized specialty trainer and Q-grader, Mr. Mahendra Gurung. 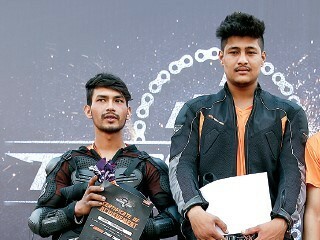 So far, Bhupal holds the winner title of KOICA Latterart Battle, Brewshala Latteart Bhidanta, and Tripti Latte Art Competition, and is preparing to get an SCA certification and become a SCA certified barista. Currently working at the Academy of Specialty Coffee (ASC), affiliated to Specialty Coffee Association, Bhupal is content about how Nepali baristas now don’t have to go to foreign lands and can get their own SCA certification in Nepal through his workplace. The team at ASC, including Bhupal, shares one common goal, to change the coffee perspective of Nepal, and it is a great learning place, where knowledge is given from farm to cup and from the art of espresso to growing specialty coffee in Nepal.